On the economic axis, the result is pretty much exactly the same, 80.6% compared to what would on the same scale be 80.0%. On the social one, on the other hand, this says I’m much more liberal, 75% compared to what would on the same scale be 55.4%. 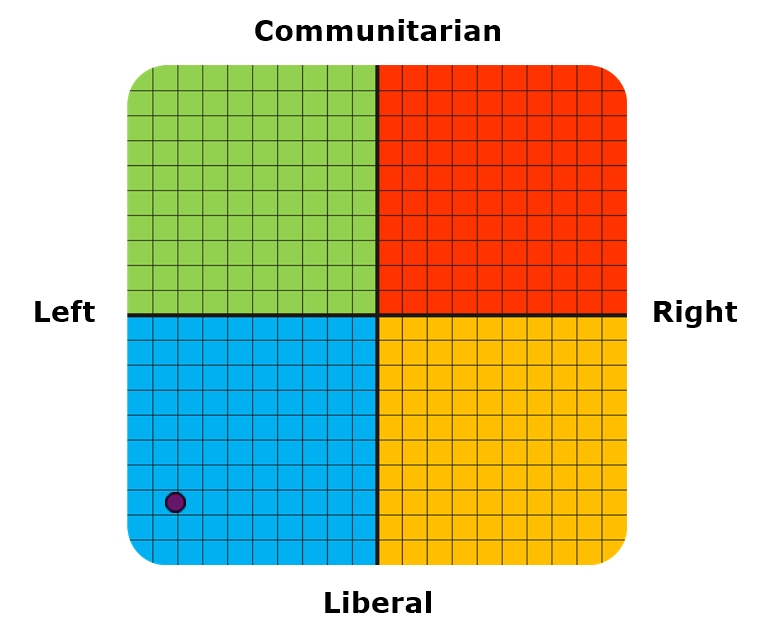 Of course, didn’t take that one again since 2014, but that old result seemed quite accurate and my position on the social axis had changed very little over the years in that test, so I doubt it’ll be too different if I’ll take it again and don’t care to. Then again, I didn’t notice many questions that struck me as relevant for this axis in this test I took now, so there are differences in what’s being asked, and I guess this one doesn’t include many things I had to think about. Political Coordinates Result was written on September 4, 2018 at 8:32 PM and filed in Tests & Surveys.